The EGEC Geothermal Market Report 2016 shows that over the last five years (2012-2016), the use of geothermal energy, particularly for heat, has slowly but steadily increased across Europe. The shallow geothermal market is the largest market by far. Yet the installation growth rate is declining; a capacity of more than 20 Gth was achieved at the end of 2015, distributed in over more than 1.7 million installations in Europe. 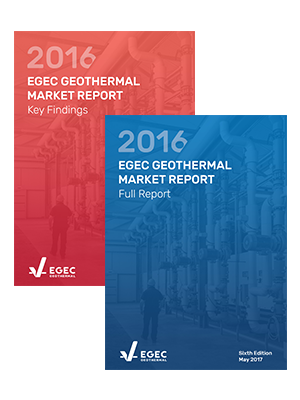 The full version of the EGEC Geothermal Market Report, complete with supporting data and tables, is available to EGEC members.